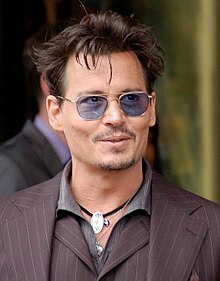 In interviews in 2002 and 2011, Depp stated that he “guesses” he has Native American ancestry, and that his “great-grandmother was quite a bit of Native American, she grew up Cherokee or maybe Creek Indian.” However, he cites family stories and Kentucky lore among non-Natives, rather than any evidence, for this belief. Depp’s claims came under question when Indian Country Today Media Network stated that Depp has never inquired about his heritage nor does the Cherokee Nation recognize him as a member. Depp’s continued claims, despite all evidence indicating he has no Native American ancestry, have led to criticism from the Native community, as well as criticism of his choice to portray a Native American character (Tonto). Depp was adopted as an honorary son by LaDonna Harris, a member of the Comanche Nation, on May 22, 2012, making him an honorary member of Harris’ family, but not a member of the tribe. Indian Country Today Media Network questioned whether “Tonto’s Giant Nuts” (credited in the 2003 movie Once Upon a Time in Mexico), the name of Johnny Depp’s band, was a wise choice given the actor’s role as Tonto along with his unsubstantiated claims to Native heritage. Critical response to Depp’s claims from the Native community also included satirical portrayals of Depp by leading Native comedians. In 2003, Depp told Germany’s Stern magazine, “America is dumb, is something like a dumb puppy that has big teeth—that can bite and hurt you, aggressive.” Although he later asserted that the magazine misquoted him and the quotation was taken out of context, Stern stood by its story, as did CNN.com in its coverage of the interview. CNN added his remark that he would like his children “to see America as a toy, a broken toy. Investigate it a little, check it out, get this feeling and then get out.” The July 17, 2006 edition of Newsweek reprinted the “dumb puppy” quotation, verbatim, in the context of a Letter to the Magazine. Depp has also disagreed with subsequent media reports that perceived him as a “European wannabe”, saying that he likes the anonymity of living in France and his simpler life there. In 2011, Depp became a U.S. resident again, because France wanted him to become a permanent resident, which he said would require him to pay income tax in both countries.